When you are facing legal difficulties, it is important to obtain the advice of an experienced and trustworthy attorney who has intimate knowledge of the legal issues that apply to your situation. Your legal representative should have a firm understanding of your priorities and concerns, and a comfortable familiarity with the courts and agencies you will have to deal with in order to resolve your problem. 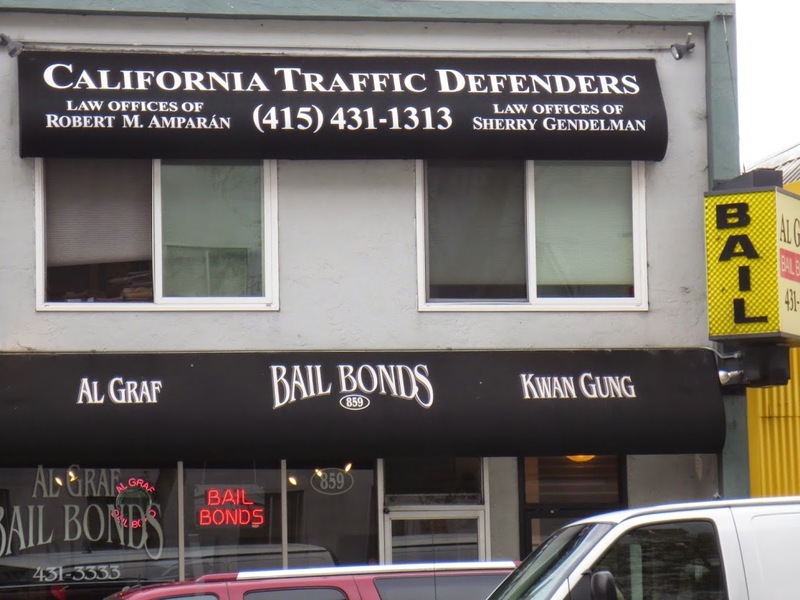 At California Traffic Defenders, our San Francisco BAY AREA criminal defense attorneys make a concerted effort to provide our clients with the best service possible whether they come to us for information, advice, or full representation. The owner and lead attorney of California Traffic Defenders, Robert M. Amparán, has nearly two decades of litigation experience, including working for the San Francisco Public Defenders Office, where he garnered extensive experience working with these same issues within the local court and justice system. Along with the other attorneys at the firm, he is committed to helping his clients achieve the best results possible for their cases. At California Traffic Defenders, our goal is to make sure that our clients’ rights and interests are aggressively and competently defended and pursued at every stage of their cases. No matter what a case may involve, we understand how important each of our clients’ record and driving privilege is to them, their families, and their futures. Because of this, we make the effort to get to know our clients and the matters that concern them the most. We take the time to help our clients fully understand and appreciate the issues that affect their situation and the options that are available to them. We apprise them of the potential consequences of any course of action or outcome so that they can make informed decisions about their future, and so that we can work together in trying to accomplish our objectives. Even more, our attorneys understand the emotional turmoil and fear that legal problems can create for people and their families. We have seen firsthand how they can taint people’s hopes and dreams as they anxiously await the outcome of a lengthy, stressful, and often frustrating judicial process. We approach every case with compassionate understanding of these matters. And while no lawyer can promise to make every legal problem go away, our clients do have the assurance that we are giving our best, and they are getting the best. They can be confident that their troubles will be handled with diligence and dedication. In the types of cases we handle, the potential penalties imposed by courts can be devastating: monetary fines, in-patient treatment, parole, community service, and for some criminal offenses, incarceration, potential immigration consequences, and a permanent criminal record. When stakes are that high, it is essential to consult a qualified and experienced attorney to advise you. As a general rule, you should obtain qualified advice as soon as possible, and avoid discussing the matter with friends or family members who, though well-meaning and concerned, may lead you astray. The consequences of following inaccurate or inadequate advice are simply too costly when dealing with seasoned local or state prosecutors, agents, and law enforcement personnel who do not have the time or interest to make sure you understand what is happening and that you will fully comprehend the consequences of your decisions. At California Traffic Defenders, we offer a no-cost, no obligation initial consultation so that we can listen to your story and you can get to know more about us. We can provide you with the information and guidance you need. You have nothing to lose and much to gain by consulting us. If you are dealing with a legal issue related to any California traffic offense, or need a San Francisco BAY AREA criminal defense lawyer to assist, advise and represent you or someone close to you in a juvenile or adult criminal matter, call California Traffic Defenders at 1-877-460-8895 or contact us online.